22 March 2018 – Bangkok, Thailand: Muay Thai legend and multiple-time Lumpinee Stadium champion Dejdamrong Sor Amnuaysirichoke (8-3) of Thailand is back in action on March 24, 2018 as he takes on Jeremy “The Jaguar” Miado (6-2) of the Philippines. The three-round strawweight contest is scheduled on the main card of “ONE: Iron Will,” which will take place at the Impact Arena in Bangkok, Thailand. 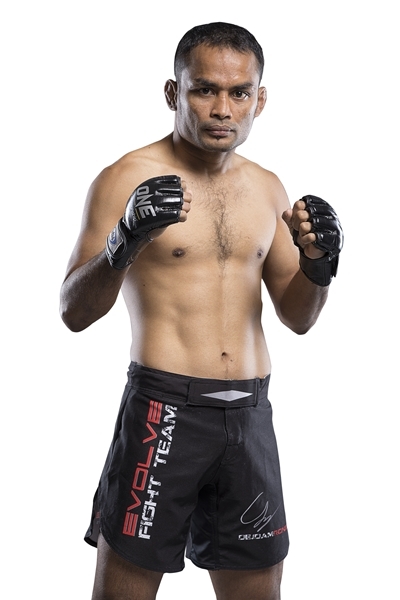 The two martial artists are wrapping up their preparations and getting ready to ascend the ONE Championship cage and Bangkok is pulsating with excitement. Also on the card are local stars Shannon Wiratchai, Rika Ishige and Kritsada Kongsrichai. “I feel like I can become champion once again,” Amnuaysirichoke said. With his preparations going great, he is very determined and confident that he will be able to get a win this time. Headlining “ONE: Iron Will” is reigning ONE Bantamweight World Champion Bibiano “The Flash” Fernandes (21-3) of Brazil who defends his title against ONE Featherweight and Lightweight World Champion Martin “The Situ-Asian” Nguyen (10-1) of Sydney, Australia. Preliminary bouts start at 7:00 PM local time while main card bouts start at 8:30 PM local time.